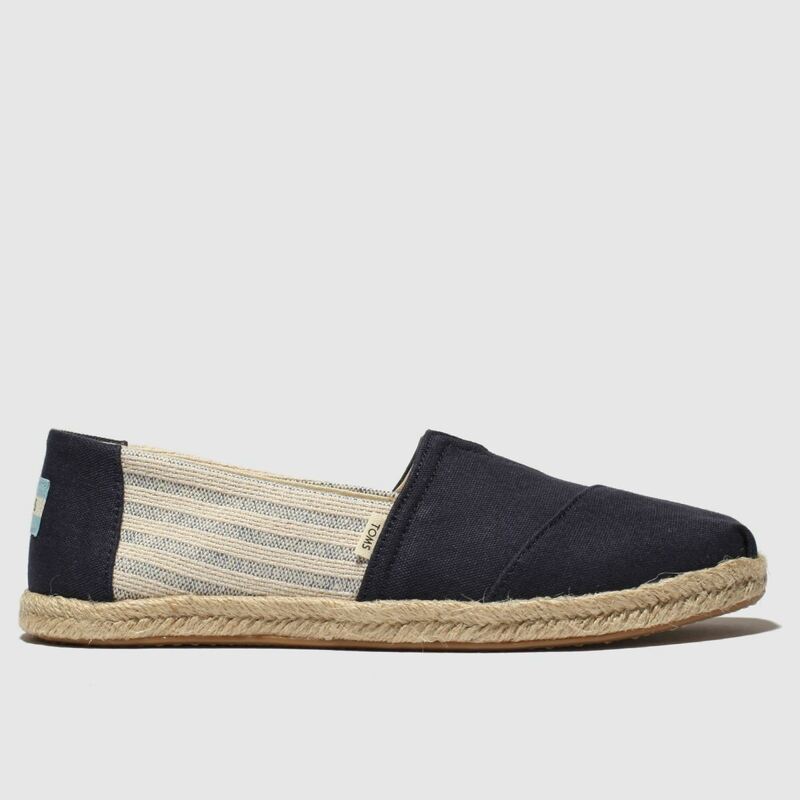 Bringing style and laid-back summer vibes in equal measure, the Alpargata slip-on arrives from TOMS. 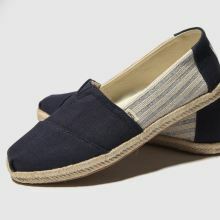 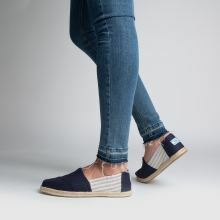 The fabric shoe boasts a sturdy navy upper with asymmetric stitching at the front while striped sidewalls add interest. 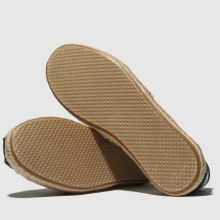 A rope midsole completes.